The Exige S Toyota 2GR-FE engine delivers 345bhp and 295lb/ft through the EA60 transmission with custom Sports Ratios, as per the Evora S, but with a kerb weight of just 1080kg. This is predicted to allows the Exige S to complete the 0-60mph dash in just 3.8 seconds, before carrying on to reach a top speed of around 170mph. 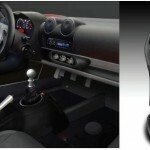 The first dealer deliveries of the Exige S are anticipated for mid-to-late January 2012. Exige S (2012) – It’s been a long time coming, but the dealer demo days have finally begun with Lotus stealing a single car away from the press fleet to give potential customers their first chance to experience the new V6-engined Exige S and hopefully persuade those still sitting on the fence to put their orders in.Unfortunately I’m not lucky enough to be in that position, but a quick email to Aimee at Lotus Silverstone later and a place was booked for a brief run out in the car, purely for research purposes of course. 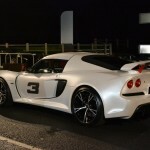 First Impressions of the Exige S V6 – It’s fair to say the new Exige S is one of the most eagerly awaited cars Lotus has produced in quite some time. 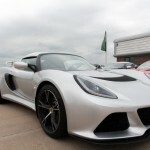 Rumours of a full on, V6 engined, replacement for the S2 Exige have been swirling round for years and by the time of the cars announcement at Frankfurt in September this year there was a real buzz about the car.Over the last week Lotus have been running a selection of Preview Events with various UK dealerships, giving many people their first chance to see the new car up close and talk the their local dealers about the car. Exige S (V6) Product News analysis– A copy of the Product News document circulated to dealers ahead of the Exige S’s unveiling in Frankfurt has shown up on the Asphalte.ch forum, shedding light on some of the details of Lotus’s much anticipated V6 engined sports car.We take a look at the details contained within, and what we can expect from the next generation Exige.